Khartoum-Deputy chairman of the ruling National Congress Party (CNP), Nafie Ali Nafie, disclosed on Wednesday that NCP’s economic sector will provide recommendations to solve the economic situation and challenges facing the country. Local newspaper in Khartoum reported that NCP leadership council chaired by president Omer al-Bashir held a meeting until the early morning hours of Thursday to discuss the country’s economic situation amid reports that the government is close to lift subsidy on fuel. 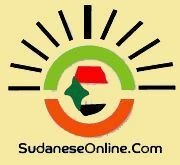 Sudan News Agency (SUNA) stated that NCP expressed optimism about the execution of the economic reform program which aims to boost revenues and cut expenses through policies that encourage exporting and production. Nafie said they asked the economic sector for ideas on some measures that could help improve the balance of payments and policies that will increase production for the next year, pointing out that the economic reform will be achieved in light of the heavy rains and improving the relations with South Sudan.